I have been checking out all the rage ~ "hand-stamped jewelry". 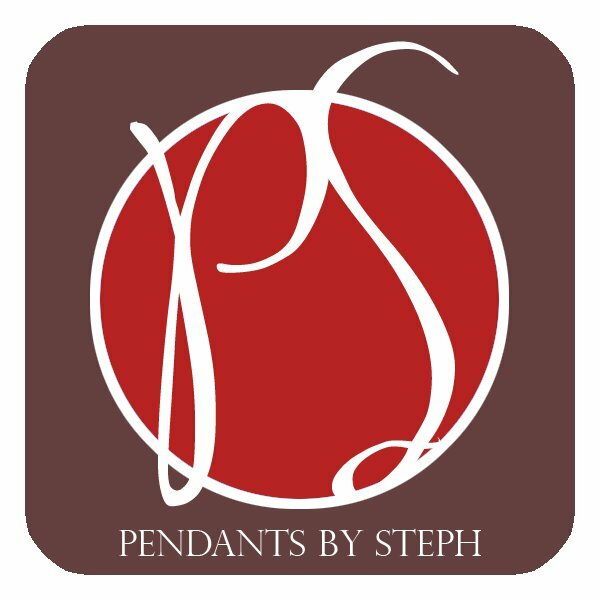 I want to introduce you to Steph who the Owner of Pendants by Steph and she is a creator of Hand Stamped Jewelry. She is a wife and mom to three kids and they live in California. She loves to create things and hand-stamping is a way she shows her creative side. Each piece is is INDIVIDUALLY hand-stamped by hand using individual stamping tools. For this reason no two pieces are exactly the same. All her pendants and charms are sterling silver. These make great gifts for moms, grandmas, sisters, friends, teachers and more! The pendants are $20/ea and the charms are an extra $3. Steph was kind enough to send me a piece of hand-stamped jewelry and I totally LOVE it! And the oHHHH so CuTe packaging! 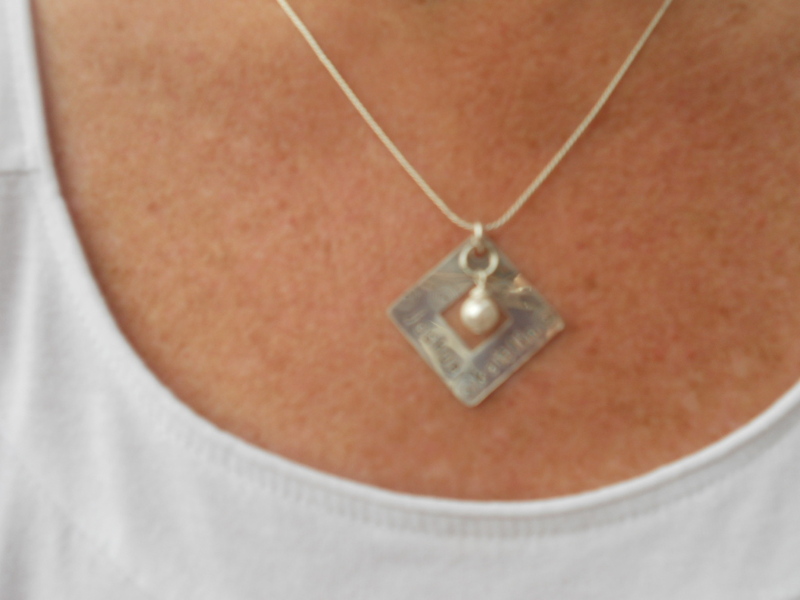 One Mommy's Moments reader will win their choice of a Hand Stamped Pendant from Steph!! 18+ Open to USA only. Ends June 15th 11:59 p.m. Winner will be drawn randomly. All entries must be logged on separate comments to count. LIKE Pendants by Steph on FACEBOOK and tell her that Mommy's Moments sent you by!! 1 Entry if you Follow Mommy's Moments blog via GFC! 1 Entry for DAILY per Tweet using Tweet Button at the bottom of post (leave link). I received the pendant and pearl charm for review purposes only. I was not compensated in any other way. I LIKE Pendants by Steph on FACEBOOK as latanya t. and told her you sent me. I follow your newsletter by email.. I would love to have the variation to the Malia Pendant with my and my husband's names on it. So beautiful!!! Liked Pendants by Steph on Facebook. I liked Pendants by Steph on fb. I love the pendant she sent you! My favorite pendant is the "Who I Am -- The "Corinna" Pendant". I sent a friend request on Facebook! I subscribed to Mommy Moments by email. I liked Mommy's Moments on Facebook. I follow Steph's blog with Google Friend Connect. 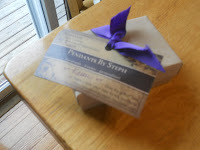 I went to Steph's blog again... the Mommy 2 Be pendant is my favorite! I follow Steph's blog with Google Friend Connect- #2. I follow Steph's blog with Google Friend Connect-#3. I like pendants by steph on facebook and told her you sent me. My favorite pendant is the Nanny Pendant. I tried to do as many of these things as possible, wasn't sure if I had to tell you each thing or not.... what beautiful jewelery.. I love the Martina pendant!!! Off to like you and Steph everywhere and check out your sites. I'm loving both of them right now!!! Friend requested Steph on FB. Was unable to Like. The "Martina" pendant is my favorite! i requested her as a friend on facebook from Michelle B.